While ways to procure and hold items that support maintenance and operations have advanced, the impact in today’s plants is debatable. This article, with charts, is an expanded version of a feature that appeared in the September 2018 print and digital issues of Efficient Plant magazine. Imagine a world where a paper catalogue is your prime information source on the supply of spare parts. Where the only way to share drawings and images is by way of the postal service or direct contact. Where obtaining information requires a physical meeting or actual telephone conversation with local sales reps (since there’s no voicemail). Imagine, too, a world where spare-parts records are written in physical ledgers or on index cards, and where data analytics is done with only a pen and paper. The British author L.P Hartley once wrote, “The past is a foreign country, they do things differently.” He was correct. The world described above might be unimaginable to many people today. Not too long ago, however, there was no internet, nor desktop computers, mobile phones, or fax machines. Although we didn’t realize it at the time, in the “foreign country” of that relatively recent past, lack of connectivity essentially meant our plants and workforces were isolated. Not in a physical sense, but an operational one. This was a purely transactional world, with little, if any, supply-chain collaboration. In fact, the term “supply chain” wasn’t even coined until the 1980s. During the past 30 years or so, the world has moved from a transactional to collaborative supply-chain model. The development and expansion of the internet and increased levels of connectivity have driven significant change in logistics and inventory management. Greater data visibility and faster information sharing has resulted in improved productivity, shorter lead times, faster procurement processes, and increased integration between planning, procurement, and usage. This, in turn, has led to significant reductions in inventory held across the supply chain. At least that’s the case for mainstream inventory types, such as raw materials, work in progress (WIP), and finished goods. The same goes for retail inventories. Curiously though, this trend doesn’t seem to hold true with spare parts held for maintenance and operations support. Figure 1 (developed from U.S. Bureau of Statistics Federal Reserve economic data) shows stock-turn ratio across all business inventories in the United States from 1992 to 2017. Stock-turn ratio is the dollar value of sales in a year divided by the dollar value of inventory held. It indicates the usage of inventory compared to actual demand. Higher is better, as it points to the holding of less inventory to service demand. The chart in Fig. 1 shows a clear improvement trend from 1992 until the GFC of 2008. Over that 26-yr. period, the average reduction in inventory was 23%. It’s not unreasonable to assume that the situation was driven by improvements in supply-chain collaboration. While the trend has been less consistent since 2008, it does not appear to have re-emerged since 2015. Compare the information in Fig. 1 with that in Fig. 2 below. The second chart shows the spare- parts inventory stock turn from 2003 to 2017 for various companies reporting in the SparePartsKnowHow Benchmarking Database. All of the represented organizations are asset-intensive operations from a broad cross-section of industries, i.e., manufacturing, oil and gas, mining, utilities, and chemical processing, among others. The spare parts they hold are all intended for use in maintenance and operations support. The trend in Fig. 2 is also clear: Over time companies have been holding more, not less, spare-parts inventory. It’s important to note that the data shown in Fig. 2 is not a longitudinal study of each company’s stock turn during a specific period. Instead, each year is a snapshot of the average stock turn as reported by the companies during various research and consulting activities. Still, since the data represents dozens of companies and hundreds of storerooms, it can be readily interpreted as a generic proxy for overall industry. What’s clear from these two charts is that while supply-chain collaboration has had a major impact on the level of overall business inventories, there is no obvious improvement in spare-parts inventory. In fact, it appears that while the shift from isolation to collaboration will most likely have had an impact on the supply dynamics and labor productivity within the spare-parts supply chain, the actual level of inventory held has not improved. In short, despite countless improvements in data management and information sharing, it looks as though spare-parts inventories have grown. The situation seems to indicate that supply-chain collaboration hasn’t yet produced any real impact in spare-parts storerooms. Perhaps even more concerning is the fact that the companies represented in Fig. 2 are not small, unsophisticated, or geographically isolated. Many are household names that operate with sophisticated (and expensive) ERP software. Many also utilize sophisticated (and expensive) “optimization” software, and can slice and dice their data any which way. Yet, while they are fully “connected,” their spare-parts inventories continue to increase. It’s not all bad news. Many individual companies (and individual sites within companies) have made significant in-roads in reducing their spare-parts inventory, without negatively affecting their operational results. That said, it seems reasonable to conclude such improvements haven’t been achieved through the adoption of supply-chain-collaboration tools or internet connectivity, despite easy access to both. If supply-chain collaboration hasn’t made a major difference in industry’s storerooms, what will? Trends such as big data and the Industrial Internet of Things (IIoT) suggest they will positively affect spare-parts inventories. Four other current trends are likely to have a major, and disproportional, impact on inventory levels. Executed correctly, strategies reflected in these trends will improve pricing, change the dynamics of supply, improve decision-making, and enable definitive tracking of usage. • Online marketplaces. There is nothing new about online procurement per se. Electronic data interchange (EDI) has been around for decades. Many spare parts are regularly purchased using online-procurement tools. What’s interesting is the growing number of online organizations that are providing spare-parts-specific services related to procurement and disposal. Often referred to as “online marketplaces,” these businesses are enabled by the same supply-chain tools and technologies that have not yet really improved the storerooms of big companies. Using these technologies, online marketplaces are able to source and supply at a lower cost than many brick-and-mortar suppliers. Then there are those that specialize in disposal of excess parts, given the fact many parts considered obsolete by one company can still be useful elsewhere, i.e., “share-the-spare.” This is known as asset recovery, with the goal to recover as much value from excess assets as possible. Using online marketing and analytics, these companies provide a marketplace for the procurement of the items in their database. The benefit for end-user storerooms is twofold: a potential for better pricing and the ability to dispose of unwanted items. Reducing unnecessary parts can easily add up to savings of millions of dollars, based on current inventory size. In addition, selling disposed-of items can return 25 to 40 cents on the dollar, an order of magnitude more than can be generated through scrapping. • 3-D printing. This trend, otherwise known as Additive Manufacturing (AM), has true game-changing potential with respect to spare-parts inventories. As the technology develops, end-users will be able to manufacture parts at any location they choose. The constraints of needing a factory may well just disappear. It may be that some parts are manufactured in-house at an operation’s own storage facility, under license from the original equipment manufacturer (OEM). Once industries reach the “print on demand” stage, OEMs will need to hold less inventory than in the past, thus bringing down their costs. They may also choose to shorten the supply chain by placing appropriate AM equipment in each major market, rather than maintain central factories. As a result, a company, say, in California that purchases parts from a European source could find lead-time cut from months to days because the supplier located an AM machine in the US. The dreaded “last time buy,” i.e., the purchase of a parcel of parts that are soon to be commercially obsolete, may become a thing of the past. With AM, there may be no such thing as commercially obsolete, as parts can be economically produced at any time. If you think that AM is just about plastics, you’re wrong. A technique known as direct metal laser sintering is AM for metals. • Parts-management training. Unreliable demand-side information is among the reasons that supply-chain collaboration hasn’t had the desired widespread impact on plant storerooms. This is especially true in procuring new parts and determining appropriate stocking levels. These “Day 1” decisions are often the source of high levels of future obsolescence. While gaining reliable data on parts usage over time could improve with the use of block-chain technologies (see below), predicting future demand when there’s no history remains problematic. Even the use of Artificial Intelligence (AI) requires reliable data input. In other words, this type of forecast, which relies on a range of factors from equipment type to maintenance sophistication, will, for now, remain in the hands of people. The problem is that training people to make better decisions in this area has been, at best, erratic. What’s changing? It’s now more widely understood that spare-parts-inventory management requires different skills than, for example, retail-inventory management, and specialist providers and programs have emerged to deliver spare-parts specific training. Too often these days, parts personnel and planning-and-scheduling personnel are put in place with minimal or no formal training. At best, they receive some degree of on-the-job training. Most of them, however, are so busy trying to survive day-to-day, that even this type of training doesn’t work well. Thus, to ensure funding for adequate training of these teams, it’s important to enlighten plant managers about how parts- management and planning-and-scheduling relationships drive enterprise success. • Block-chain technology. A potential game changer for logistics operations and spare-parts management, block chain uses what’s known as a distributed digital ledger. Entries are recorded in blocks similar to a page in a ledger book, except that they are electronic and recorded in multiple places at once. For block chain to operate, all parties need to agree that each transaction is valid. With financial transactions, this means block chain records are very secure because they don’t exist in just one place, and tampering with the data is almost impossible. Enhanced traceability of products is one obvious use of block-chain technology in supply-chain management. Current applications include tracing pharmaceuticals and meat products. In both cases, providence and use-by dates are paramount to the user. On another front, the production and supply of counterfeit spare parts has periodically been a problem for end users. For example, in 2017, bearing maker SKF, Gothenburg, Sweden and Lansdale, PA (skf.com) reportedly destroyed 15 tons of counterfeit products. For manufacturers like SKF, the use of block-chain technologies to ensure parts providence seems inevitable. What about when the parts reach a company’s internal supply chain, i.e., the path from delivery, to warehouse, to user, to machine? Perhaps block-chain technology could track individual items throughout the process. This would enable companies to irrefutably connect the dots on the demand and usage of their parts. Currently, there’s an implicit assumption that all parts removed from a storeroom are used almost immediately. In practice, that’s rarely the case. With the ability to “connect the dots,” companies could produce highly reliable demand data and, in turn, make better use of other sophisticated software that is currently rendered pointless through a lack of reliable data. The savings could be massive. As shown by benchmarking data from the Univ. of Tennessee Reliability and Maintainability Center (RMC), going from bottom to top quartile in MRO Cost/Replacement Asset Value reduces MRO cost, on average, by more than 50%. This article has highlighted four trends with potential for enormous impact on spare- parts-inventory management. It’s fair to ask, however, about others that haven’t been mentioned, i.e., warehouse robotics, autonomous vehicles, drones, and augmented reality (AR). While all of these developments are notable, the issue with each is that their strength lies in productivity, which is not the major weakness to address in spare-parts-inventory management. 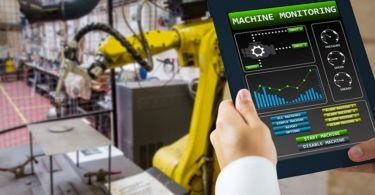 As data analysis has shown, spare-parts inventories aren’t benefiting from existing supply-chain collaboration and productivity tools because their issues lay elsewhere. Where spare-parts inventories can benefit most is through tools and technologies that help reduce price, improve supply, enhance decision-making, and increase data reliability. Phillip Slater is Spare Parts Inventory Management specialist and founder of SparePartsKnowHow.com, Moonee Ponds, Victoria, Australia. Contact him directly at pslater@initiateaction.com. Klaus M. Blache is director of the Univ. 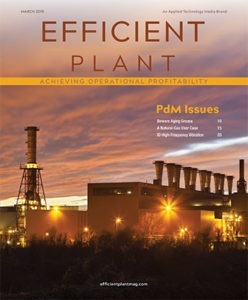 of Tennessee Reliability and Maintainability Center (RMC), Knoxville (rmc.utk.edu), and a contributing editor for Efficient Plant. Contact him directly at kblache@utk.edu.